Last week's blog featured plants that are great garden choices, but for various reasons we have discontinued to propagate. 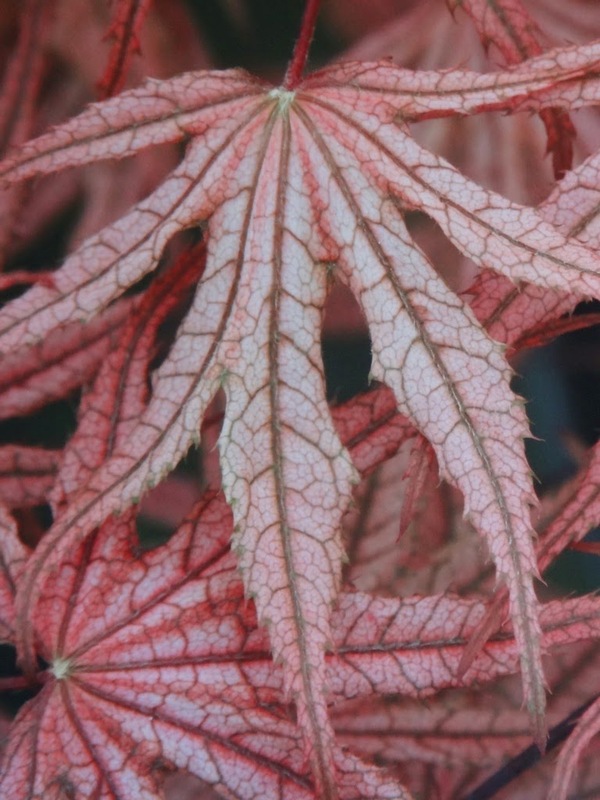 For the most part these are business decisions; but to be sure, many of them cause me some personal anguish, as if I have failed a worthy species or cultivar simply because I was not good enough to make it work. 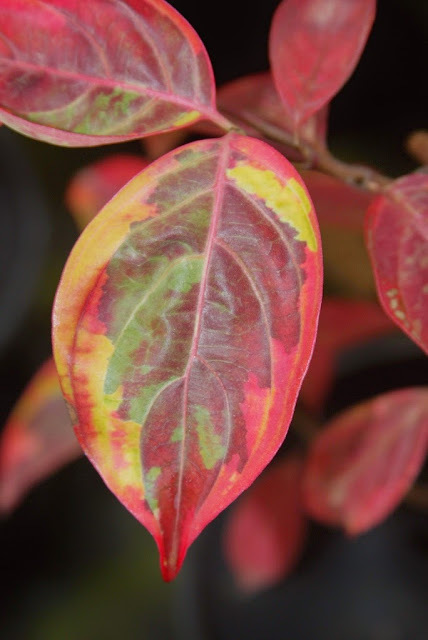 Also understand this, as I do: that each and every plant that we are currently propagating will eventually be discontinued. 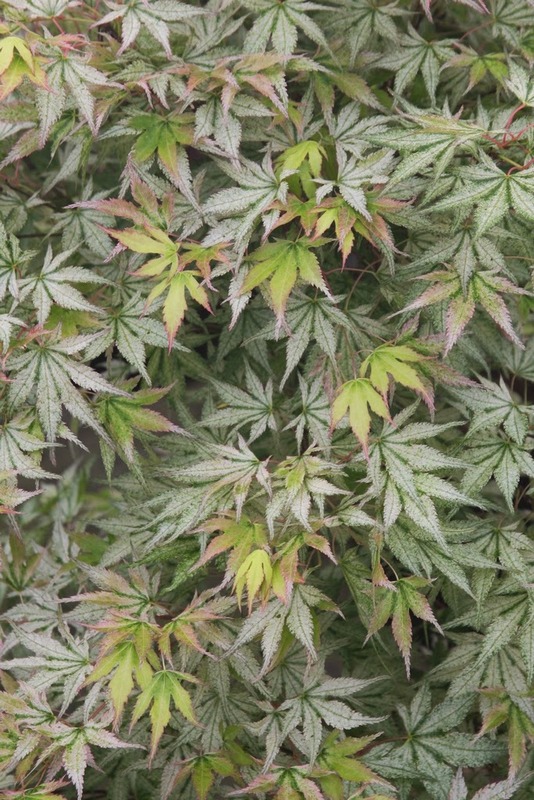 You won't be able to find Acer palmatum 'Purple Ghost' or 'Geisha Gone Wild' at your favorite garden center in the future (hopefully distant). At some point in time, garden centers will likely not even exist. Perhaps nothing similar will replace them. 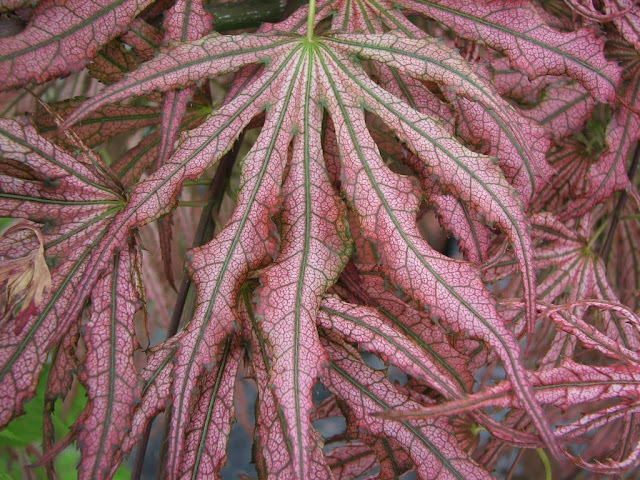 Why should interest in plants prevail? All right, we needn't go that far, or let's at least have some fun before we get that far. 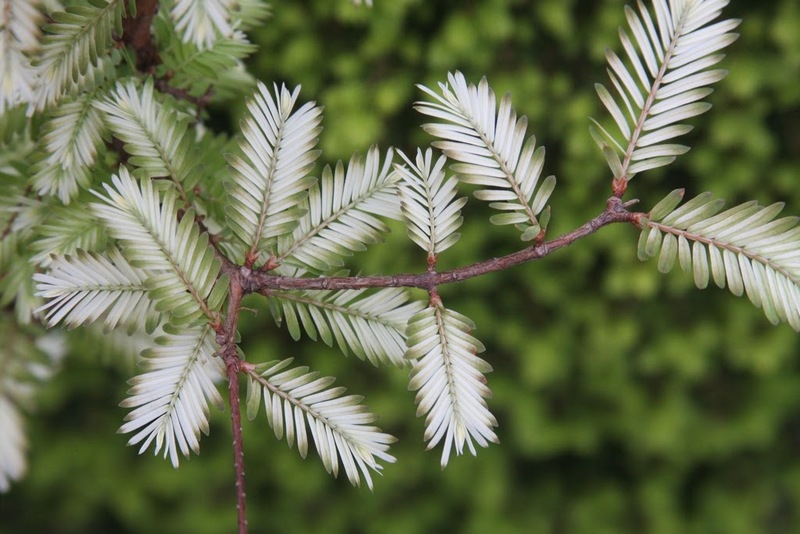 We have already begun our softwood cuttings, and we will soon begin to graft. I'm always over-optimistic as we approach propagation season. "Yeah, let's do some of this, let's do some of that!" 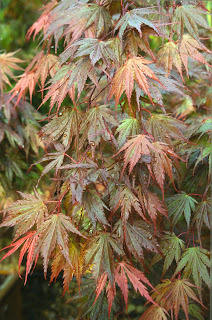 The problem is that we don't have the manpower to accomplish it all, so maybe we're better off sticking to our blue-chip plants, our new plants, our future rootstock, the items that are highly profitable, the items currently in great demand, the plants I personally like a lot...and so on...and theeere we are, in over our heads again. 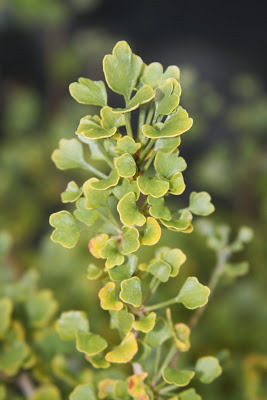 Ok, let's get to work, for I have previously announced that we'll propagate 10% (of 5,000) of the plants in our collection. 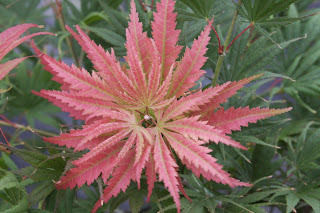 We grow three kinds of plants: 1) maples, 2) conifers and 3) everything else. For maples, it is my habit of producing at least 25 of each cultivar, so we'll end up with 20 or so strong trees each year. Eventually they will all sell, but you might have to keep one or two for fifteen more years. 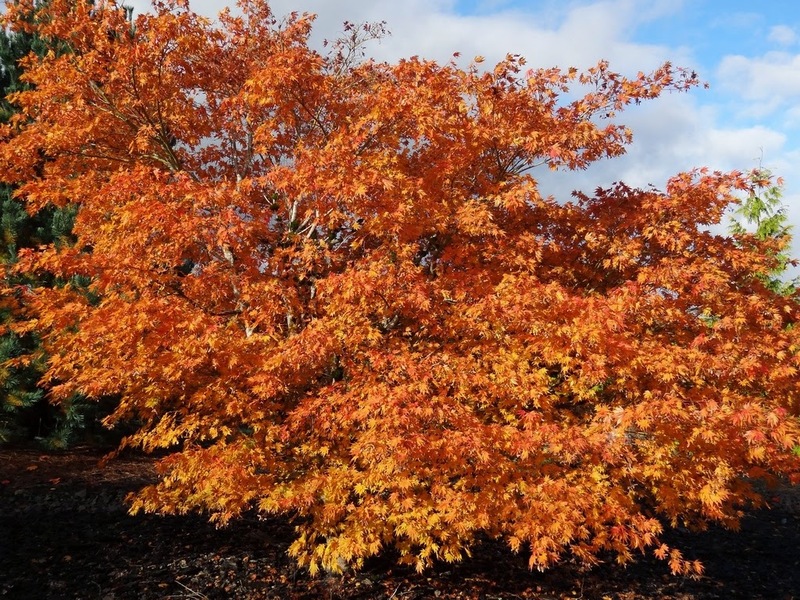 Then the old specimen, if well-grown (and if it isn't we throw it out), will be larger and more spectacular than anything from another nursery. 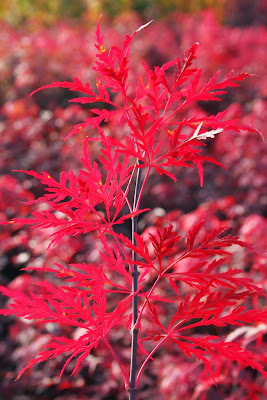 Acer palmatum 'Kinran' is one of many in the minimal group. It is a medium-sized cultivar with bronze-red leaves with yellow-green veins. 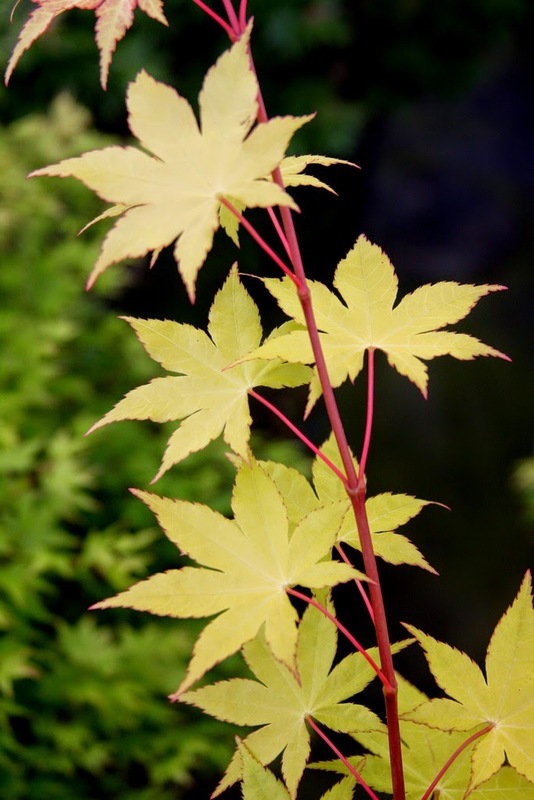 'Kinran' means "woven with gold threads" in Japanese, for the gold is apparent throughout the year. 'Kinran' is nobody's favorite maple, absolutely nobody's. 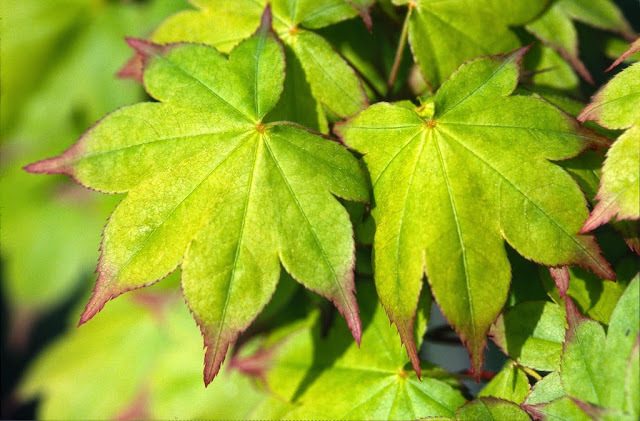 But it has an interesting foliage color and it belongs in any serious maple collection. Acer palmatum 'Stella Rossa', an Italian introduction, also falls into our minimum group. 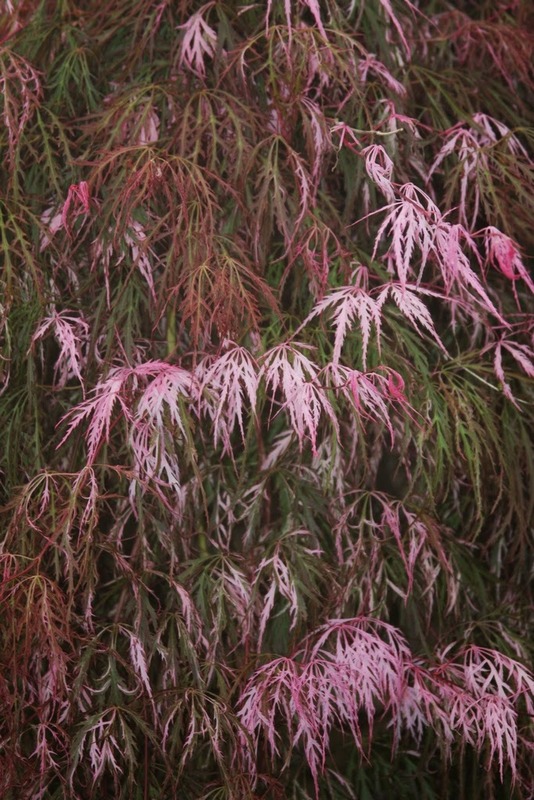 A lot of time collectors will buy names, almost regardless of what the tree is like. Not to put 'Stella Rossa' down; it's (yet) another red laceleaf, and maybe grows more low and flat than the others. It was selected at Gilardelli Nursery in the 1960's, and maybe was more novel then. 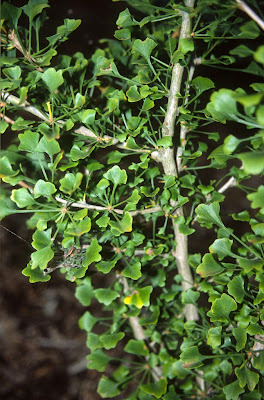 Mr. Gilardelli visited me some years ago, and noticed a plant in my Display Garden. He told me that he didn't really care for it, and it was his brother that selected the name. 'Stella Rossa' means "red star" in Italian, and Mr. G. reported further, that his brother was a communist. I've always liked that story, so I keep growing a few. 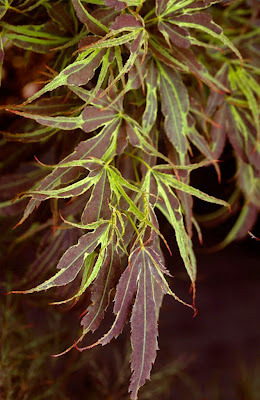 A maple we produce in far greater numbers is Acer palmatum 'Peve Multicolor'. 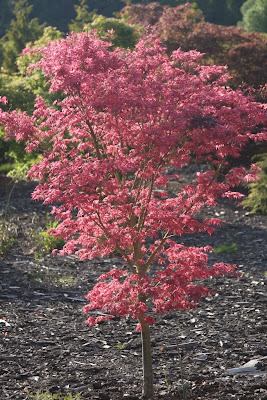 It has the attributes of being new and spectacular. I saw it for the first time at Vergeldt's Nursery in The Netherlands, in mid-October. I was not impressed, as the variegation had faded, and pale green new growth had sprouted all over the plants. 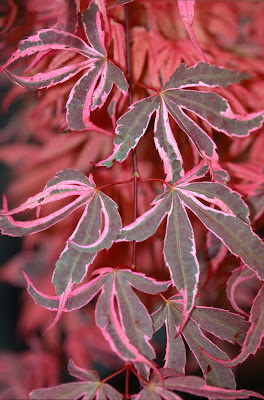 In fact, for the first few years at my nursery I was not impressed; then one spring voilà, and 'Peve Multicolor' is now one of my favorites. 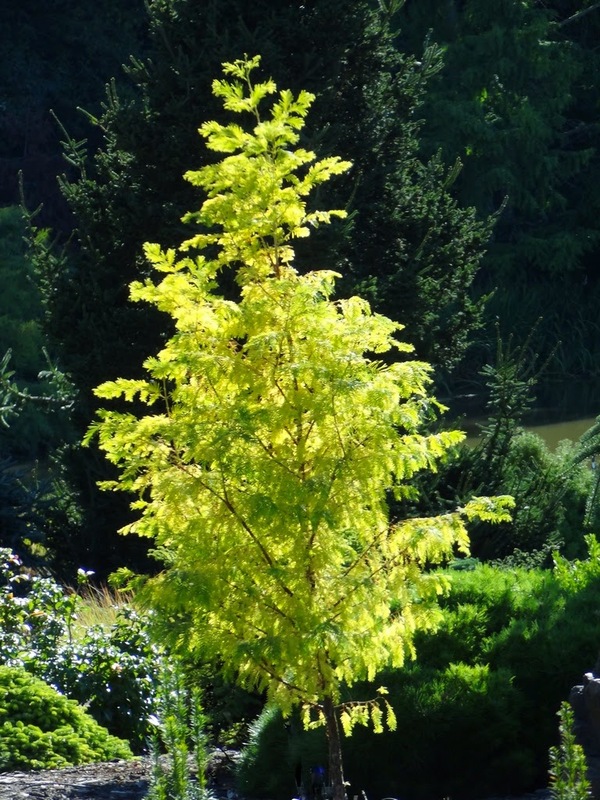 We'll graft a fair number of 'Summer Gold', from the same Gilardelli Nursery in Italy. 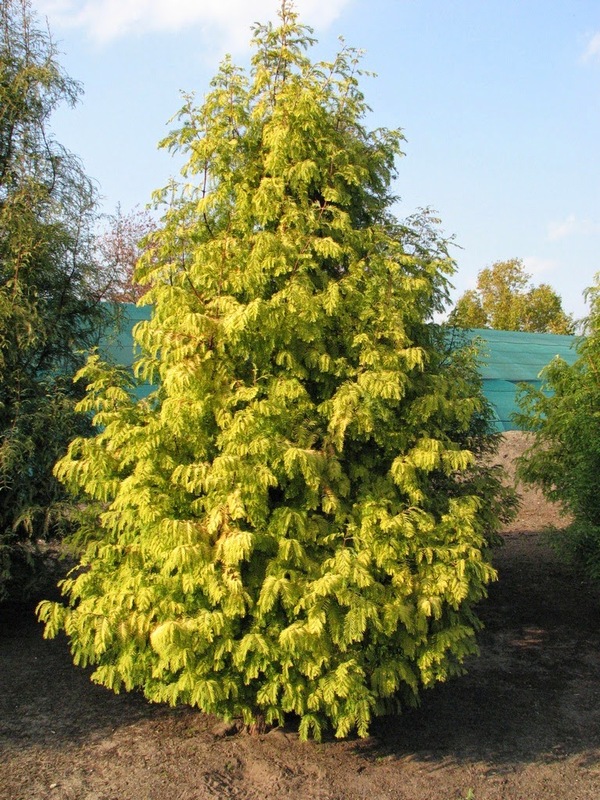 It is a cheerful cultivar which can withstand summer heat better than many of the other golden cultivars. The degree of yellow coloration changes throughout the season, beginning orange-yellow when new, changing to light-yellow further on, then yellow-green at the end of summer. 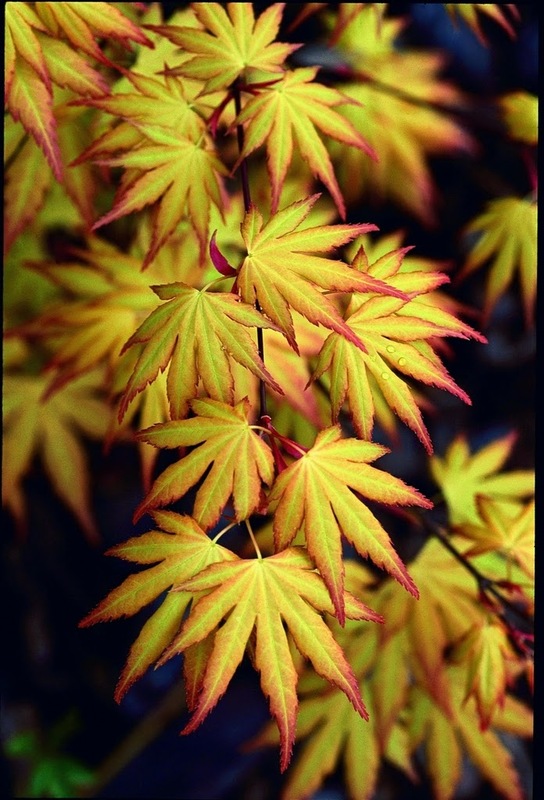 Fall color is – you guessed it – brilliant gold. I don't know whether it was a communist selection or not. I don't know the number of Acer palmatum 'Japanese Princess' that we'll produce, except to say: "all that we can." I've bragged about it in more than one post, so I'll spare you another cheerleading effort. 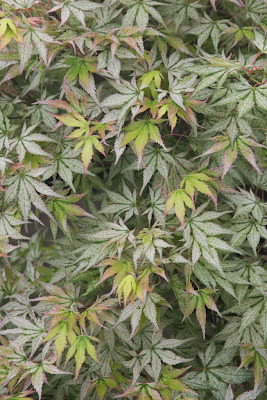 I'll also be careful to not indulge excessive enthusiasm for Acer palmatum 'Ikandi' – our rock-star new cultivar, as you've heard (or over-heard) that story too. 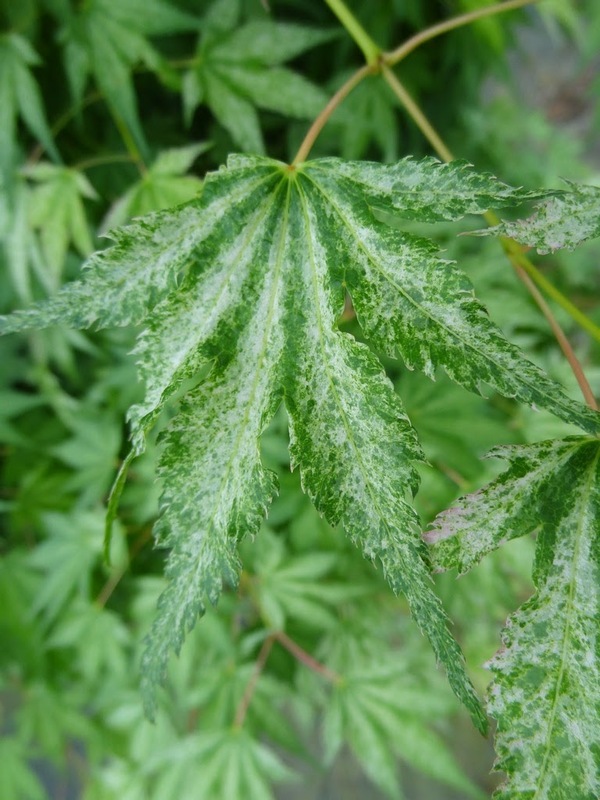 But I have to mention a couple of 'Tsuma gaki'-like cultivars that are fairly new to me: the cuties Acer palmatums 'Chuguji' and 'Ogi tsuma gaki'. There's no information I can find to reveal their origins, but I'm assuming the Japanese could explain more, for Japan is where I first encountered them. 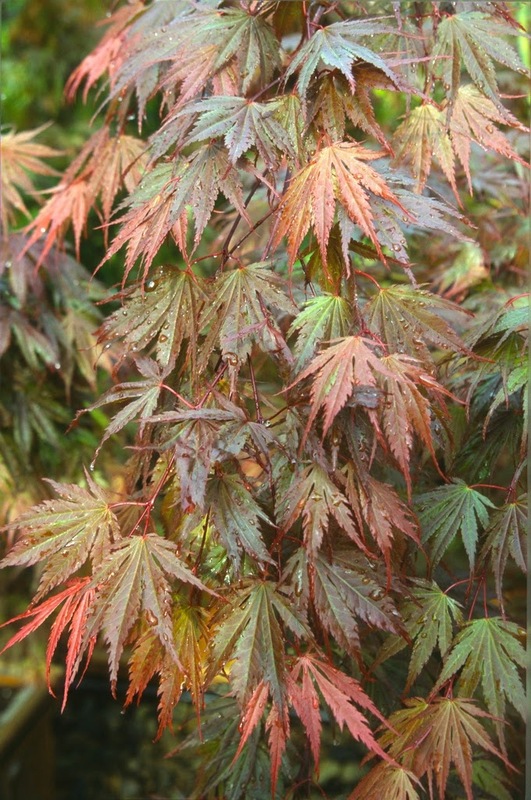 Another cultivar, Acer palmatum 'Satsuki beni' (meaning "red month of May") is somewhat similar to the above, but with larger leaves and a sturdy habit, and you would think of it as handsome rather than cute. 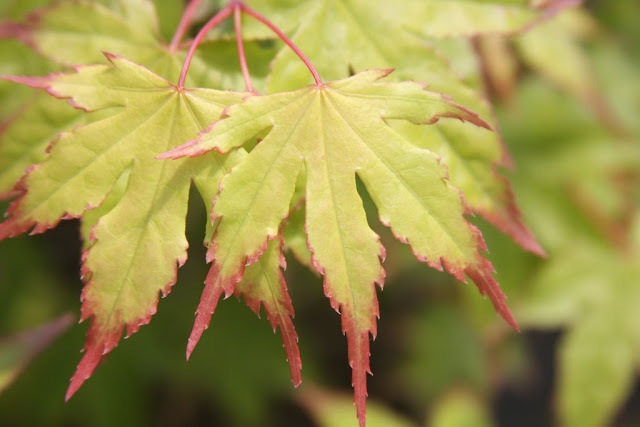 I couldn't think of the maple we propagated in the largest number, so I checked back into last year's records. 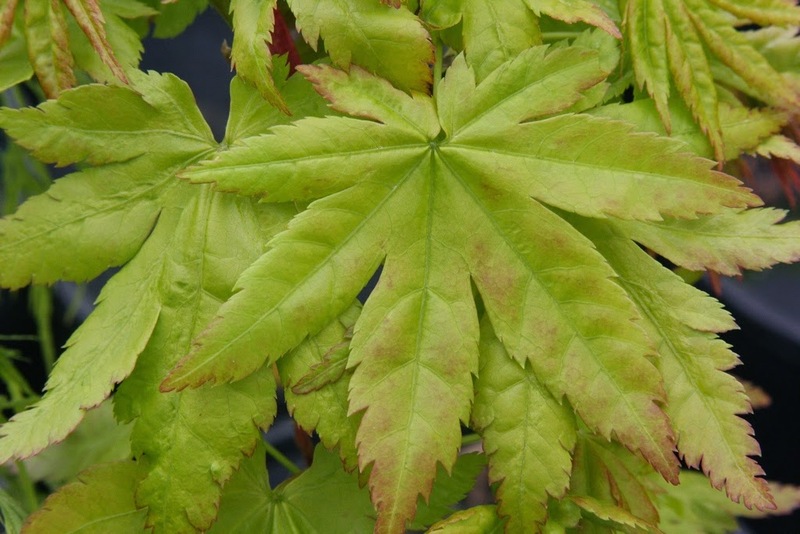 A group of seven were more or less equal in number: Acer palmatums 'Hana matoi', 'Geisha Gone Wild', 'Manyo no sato', 'Mikazuki', 'Olsen's Frosted Strawberry', 'Orange Dream' and Acer shirasawanum 'Moonrise'. 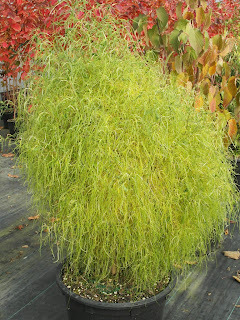 Many of these were sold as one-year grafts, because we don't have the capability to grow them all into larger sizes. But we keep a lot, and in recent years I am comforted to be sold out, rather than to be burning excess. 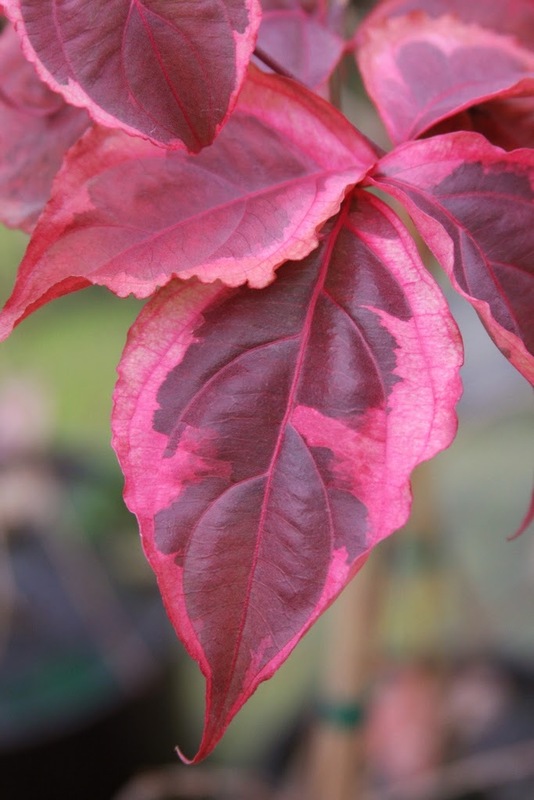 The group-of-seven are all good solid choices, but this year's propagation may see some numbers altered, with new cultivars perhaps entering the top seven. I expect that in ten years from now, few or none of them will be in the elite group. Who knows? 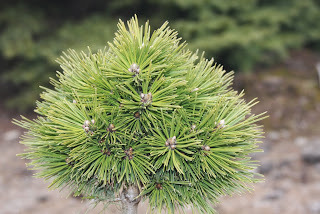 The second "kind of plant" that we grow are the conifers. 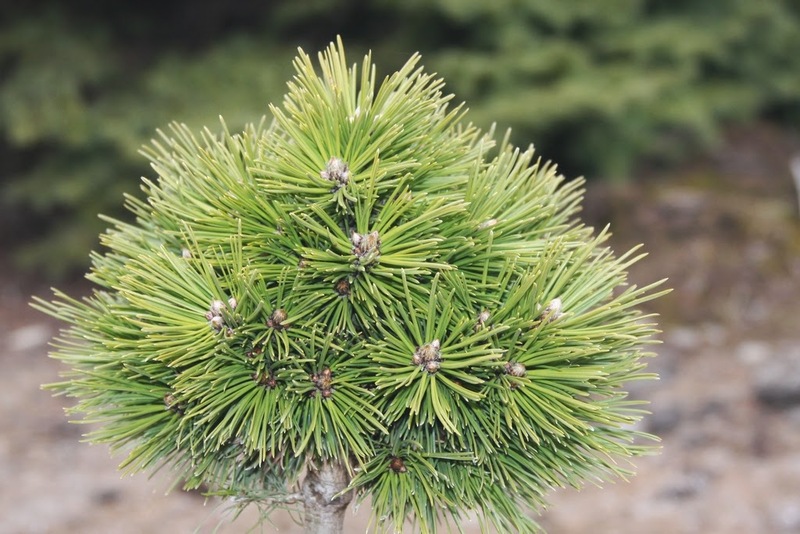 The greatest number (of grafts) that we did was for Abies koreana 'Ice Breaker', followed by Chamaecyparis nootkatensis 'Sparkling Arrow'. The 'Ice Breaker' originated in Europe as a witch's broom mutation on Abies koreana 'Silberlocke', which was formerly known as 'Horstmann's Silberlocke'. 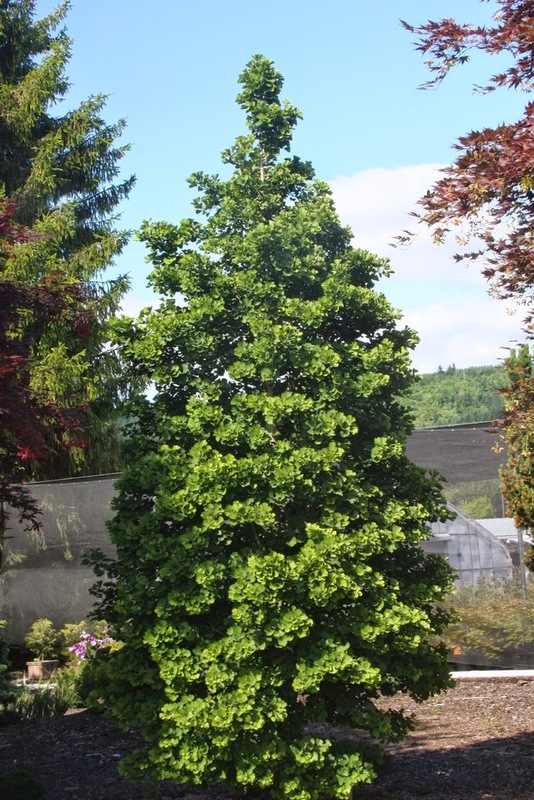 I've been to the Horstmann Nursery twice, located just outside of the pleasant little town of Schneverdingen; and via some of the older trees I could sense the spirit of the late, famous plantsman, Gunter Horstmann, but sadly I was never able to meet him. Son Uwe and his wife carry on at this time, or at least I hope they still do. 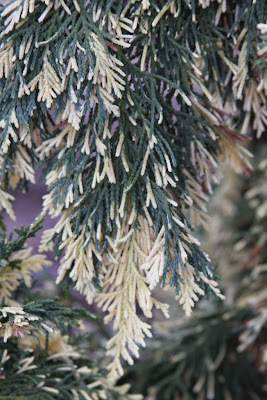 Chamaecyparis nootkatensis 'Sparkling Arrow' was of course our introduction, arising from a branch mutation on a 'Green Arrow'. The mother tree was eighteen feet tall growing in a wood box, and it was sold, so in the winter prior to shipping I cut the single variegated shoot off and handed it to my best grafter. It lived, he got a raise, and the rest is history. 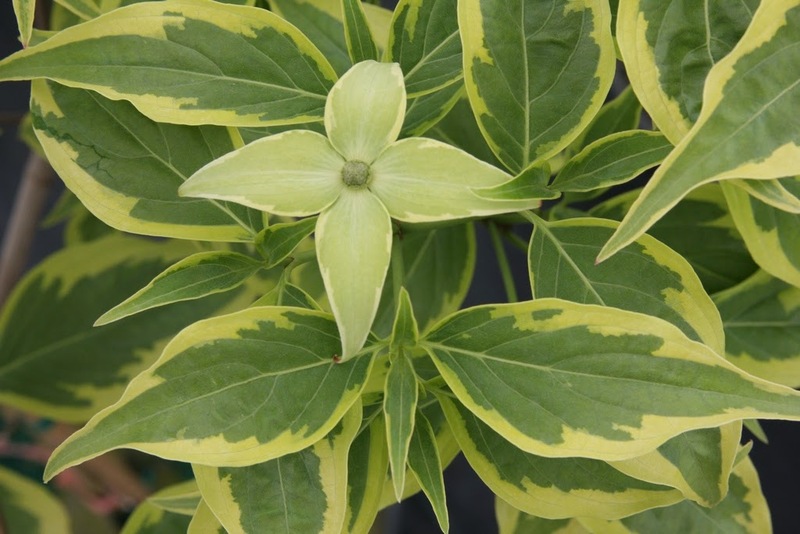 To date it has never reverted like the old 'Variegata', where huge portions would lose variegation. 'Sparkling Arrow' looks best to me in the winter, for its colors then intensify, and a narrow sparkling pillar is a welcome sight in the stark winterscape. 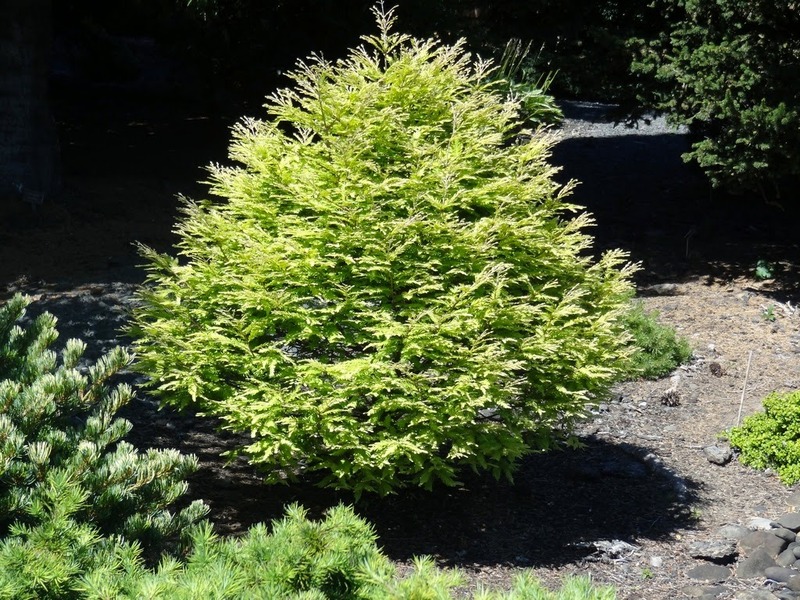 Similar to the maples, we grow many cultivars of conifers with the minimalist approach. 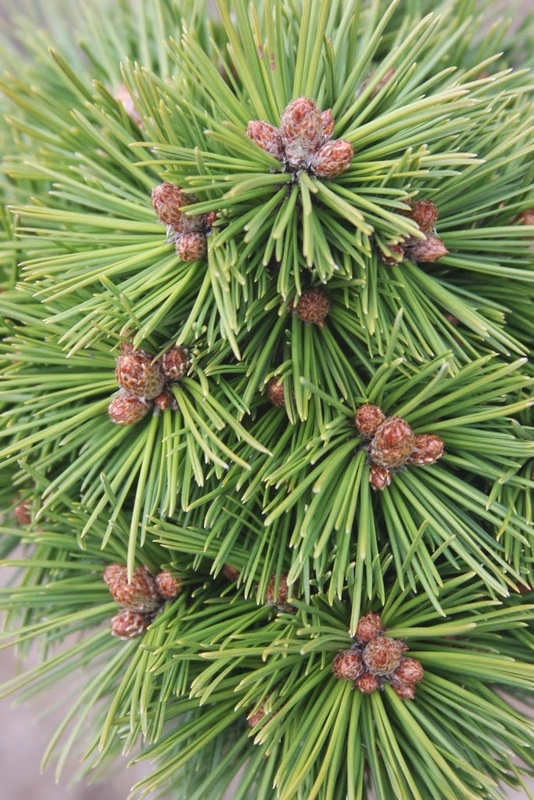 Just enough to "keep them around," and it's always good to offer a few in larger sizes. 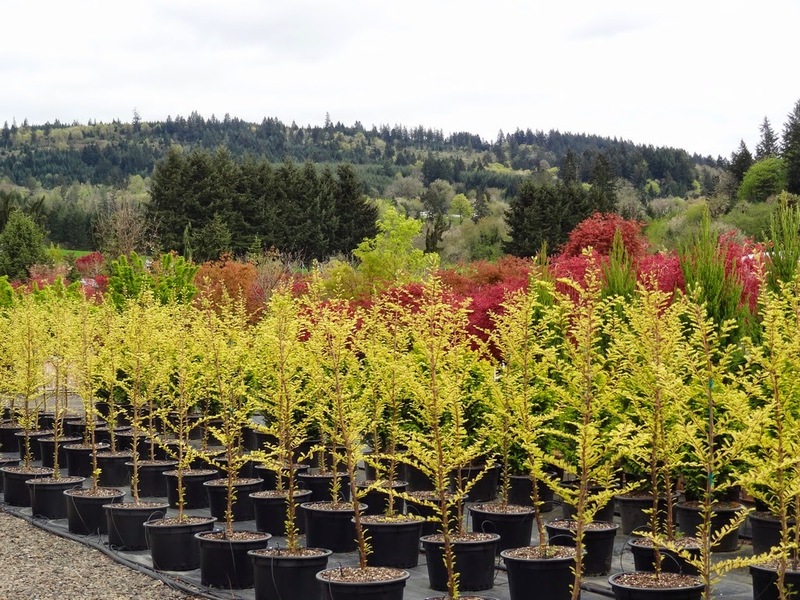 We used to do gobs of Metasequoia glyptostroboides 'Gold Rush', but now we only produce a handful, as it really doesn't perform well in Oregon. 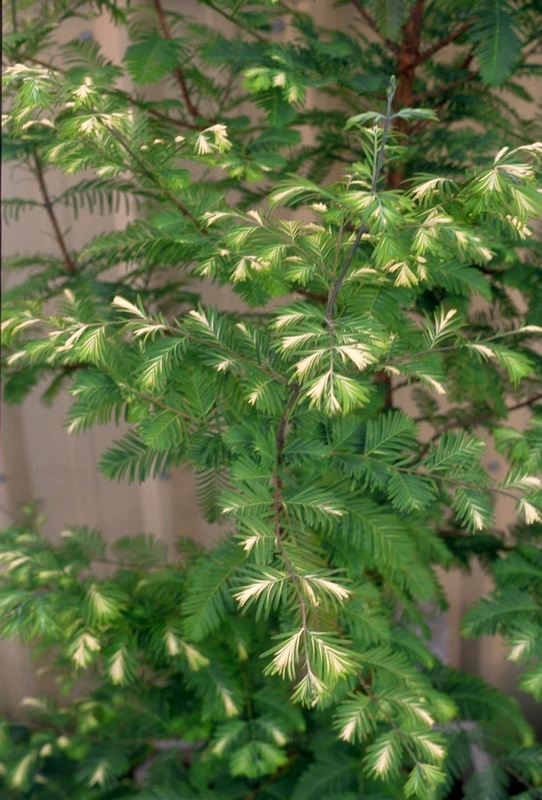 Oh sure, I have a couple of larger trees in the gardens, and they don't look too bad, with just a little burnt foliage when our dry summers exceed 100 degrees. 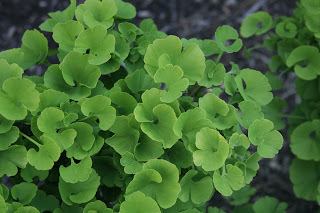 But trying to produce them as a crop is something I haven't been successful at. 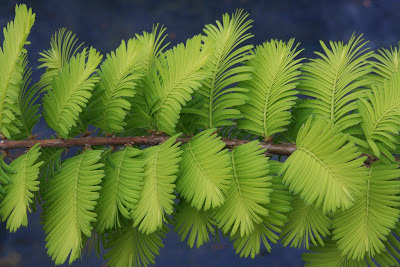 However, I am successful with Metasequoia glyptostroboides 'Kools Gold', and produce containers in the full sun. They were sparkling gold this spring, and put 'Gold Rush' to shame. 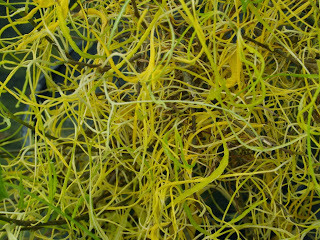 Now they are feathery yellow sentinels that always seem to attract a breeze. Note that 'Kools Gold' should be grown in full sun, because greenhouse-grown or shade-grown plants will be green. 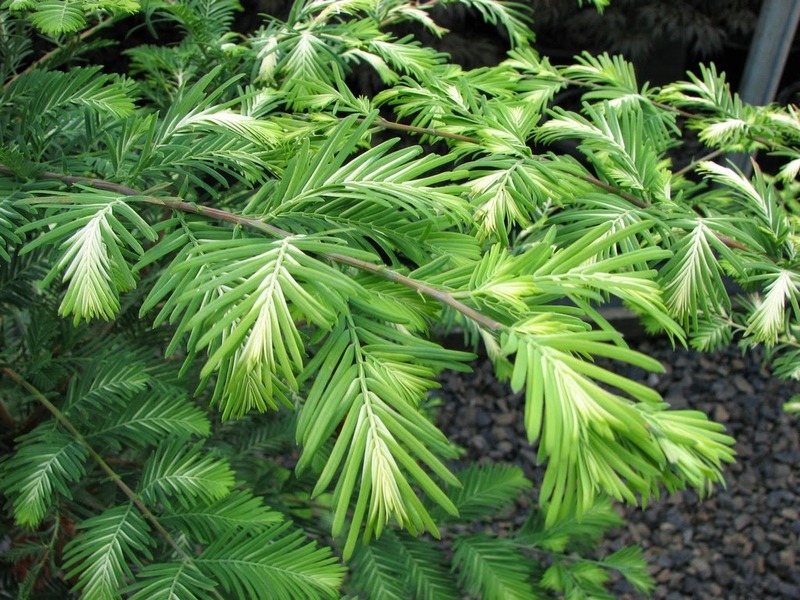 We introduced Metasequoia glyptostroboides 'Jack Frost' twenty years ago, and I was excited about it at the time. 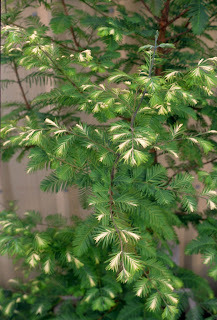 Oh boy, the first variegated "Dawn Redwood" cultivar I supposed, not knowing what was going on in Europe at the time. 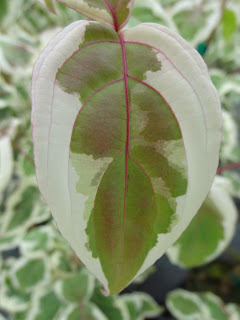 Customers would buy the trees from me, then often call and ask why they weren't variegated. 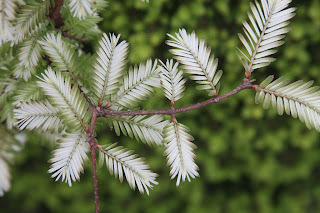 The frosting of cream appears later in summer was why, and besides it is rather subtle. Now we just graft a handful every few years for old time's sake. We're anxious to see how our introduction of 'Lightning' will fare, and until I'm sure that it is worthy I won't release it, with the exception of some sent to Nelis Kools, who is trialing it also. Back and forth we go with new plants, for the fantastic selection of Metasequoia glyptostroboides 'North Light' came to me from Nelis, and I was the first in America to grow it. In Europe it is known as 'Schirrmann's Nordlicht', or "Schirrmann's North Light," but simple 'North Light' is a much better name for the USA market. I'll discuss one final conifer, a diminutive seedling selection of the "Bosnian Pine," Pinus leucodermis 'Wayne'. This is not its permanent name, but I temporarily call it that, because it was discovered in a field of seedlings by Wayne Staehely of Columbia Nursery in Oregon. 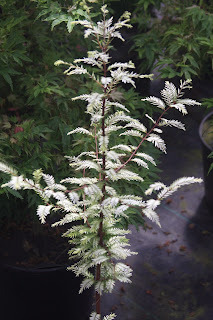 'Wayne' is the most dwarf of any leucodermis that I know, more so than the popular 'Schmidtii'. It is so compact that moss even grows on the bun, and occasionally a weed will sprout from the dense foliage. 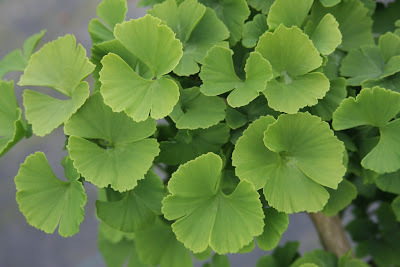 I was first to propagate 'Wayne', and Mr. Staehely now has one also, but I won't sell or give away any until he gives it an official, final name. 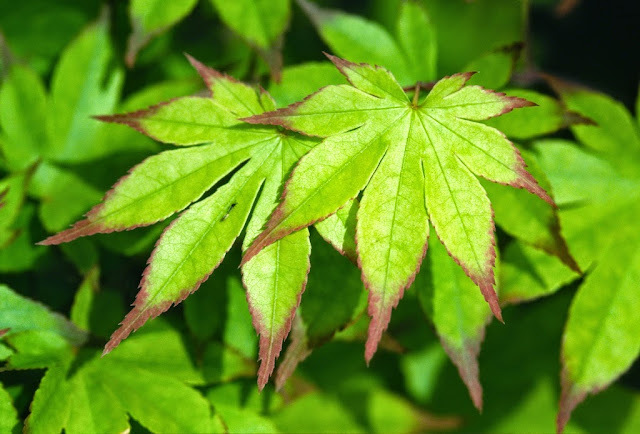 Keep in mind that the plant might not be "any good," meaning that the attraction of the original seedling might not be representative of the offspring. 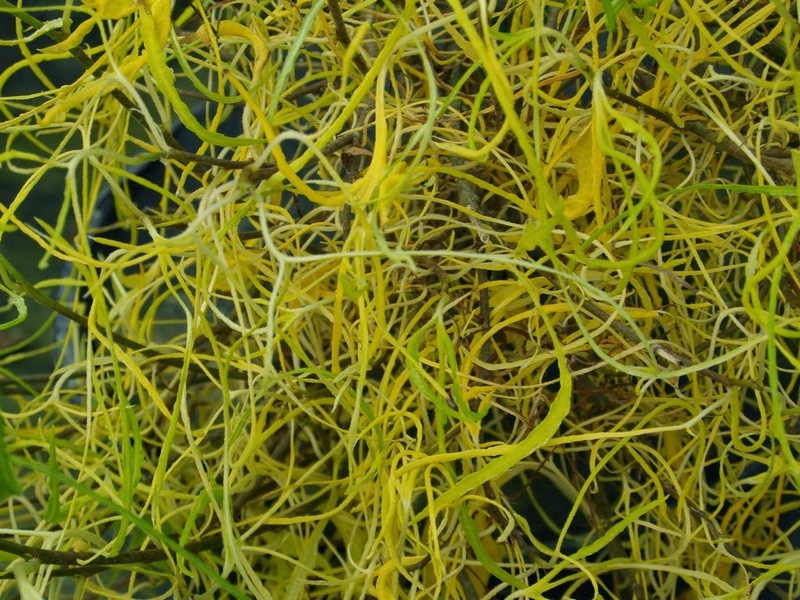 Maybe the propagules (by grafting) will be full of problems and short-lived. 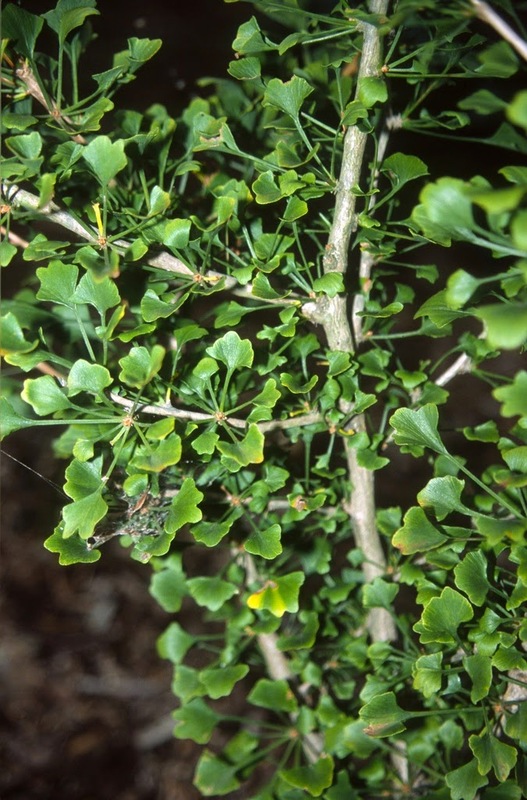 Maybe the usage of vigorous Pinus sylvestris rootstock will cause the little dink to bolt. 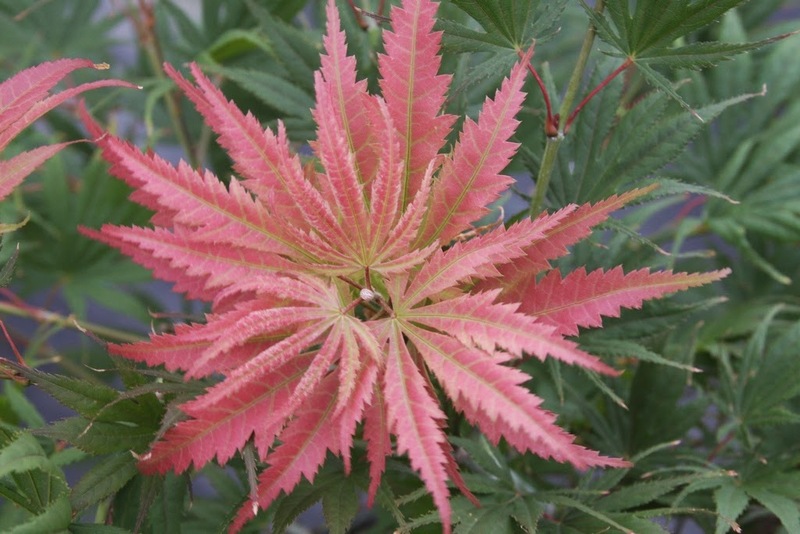 Maybe, but I predict that the plant will be great, just like Wayne himself. 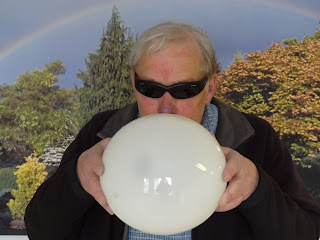 You are encouraged to visit him if in Oregon. And for heaven sakes, buy plants from him. Often we grow the same plants, but I don't view him as competition; for me he represents the exciting future of the Oregon nursery industry, and he'll be around long after I am gone. So, we've completed two of our three "kinds of plants," maples and conifers. I'll comment on some from the third group, "everything else." We try to keep the three groups equal in our propagation numbers, but "everything else" is the most hugely diverse category. It can range from large trees to miniscule alpines from all seven continents. "Whoa, wait a second," some of you must be saying. 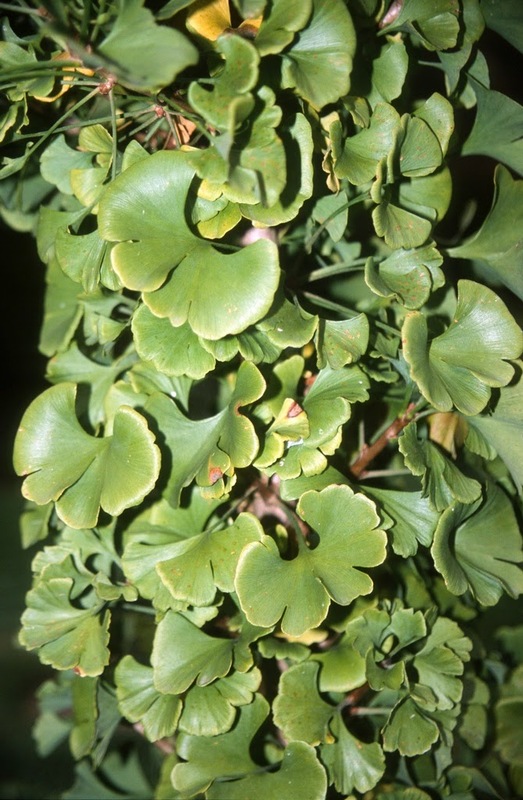 "Plants from seven continents must necessarily include Antarctica. 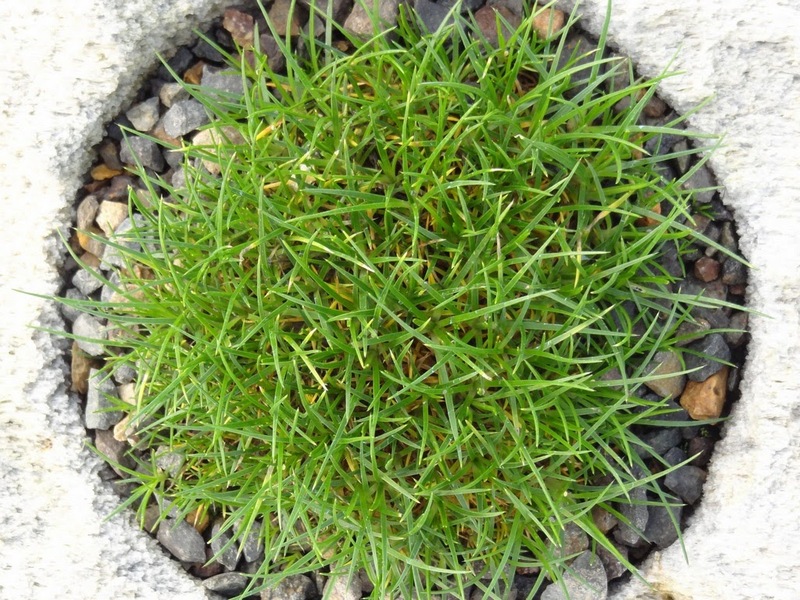 The Arctic is hostile enough; certainly nothing can grow in Antarctica." But wrong, for there are two flowering plants from Way Down Under: one, a grass, Deschampsia antarctica, and the "Antarctic Pearlwort," Colobanthus quitensis. 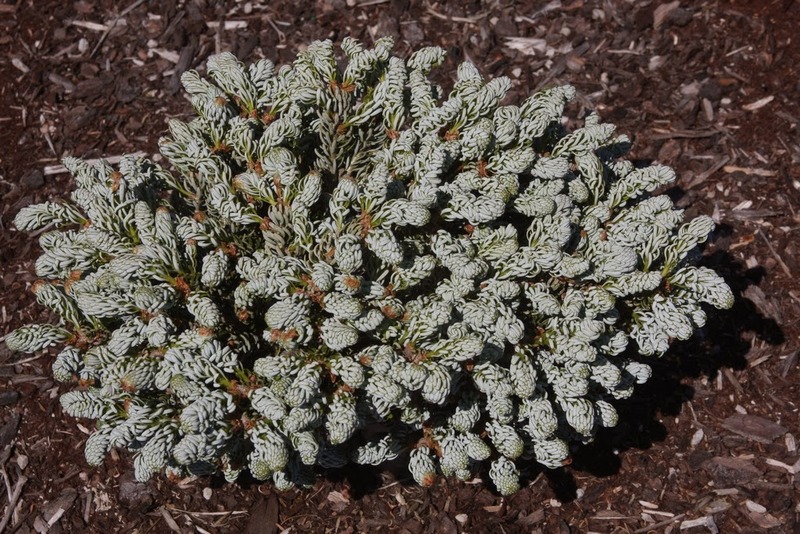 Our little tufts of Colobanthus are green moss-like creatures which bloom with pale-white flowers. 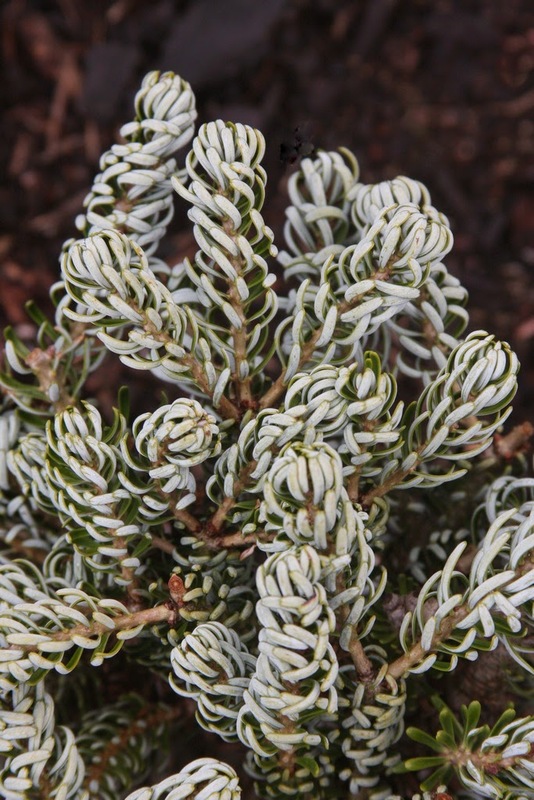 So while there are no trees or shrubs endemic to this frozen continent, it does have two forms of vascular life. Buchholz Nursery markets the Colobanthus in a novel way, by offering them in pumice stones. The photo above shows one sitting prettily in its 35,000-year-old hunk of Sierra rock, and you can be certain that none of your friends have ever seen anything as remarkable. My "other" group of plants is well-represented by various Ginkgo cultivars. 'Jade Butterflies' is a compact pyramidal form with deep green leaves. 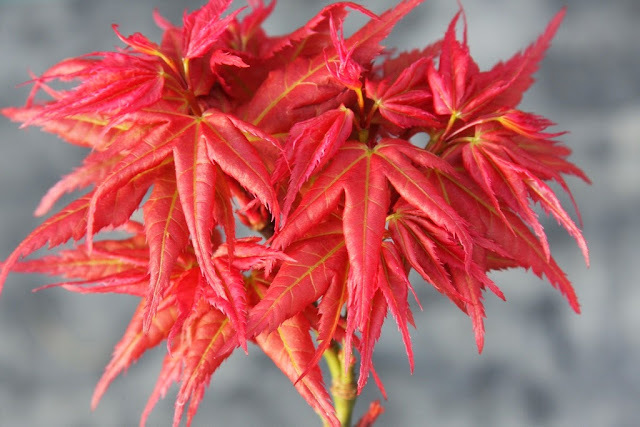 I don't know its origin, but my start came from a bankrupt New Zealand exporting nursery. 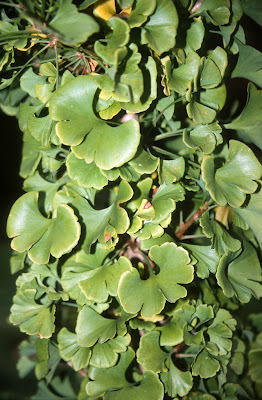 The photo above is from a specimen at about twenty years of age, and it has not been pruned into its current shape. 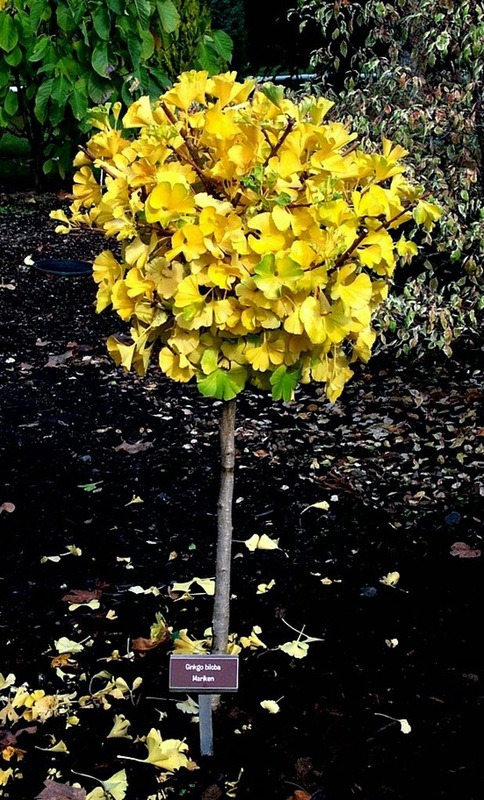 We grow a number of dwarf Ginkgoes, and I suppose most of them originated as witch's broom mutations. 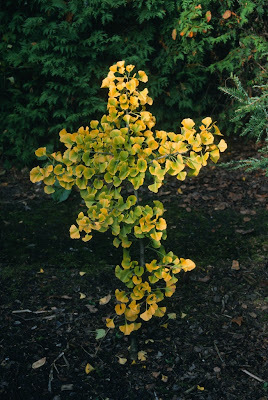 'Marieken' from Holland, 'Troll' from somewhere in Europe and 'Spring Grove (WB87)' from a cemetery in Ohio are all wonderful cultivars that fit in nicely in any garden situation. 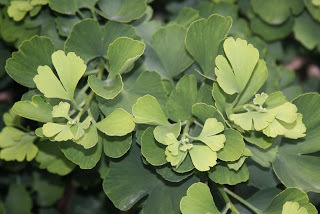 Well, I guess I shouldn't say any garden situation, for Japanese Garden know-it-alls, such as the editor of Sukiya Living, a journal of Japanese gardening, claim that Ginkgo should never be used, that they get too big. I responded to that comment, and said, "But there are dwarf forms that won't get large." He replied that the problem with dwarves is that "they all grow too large eventually." 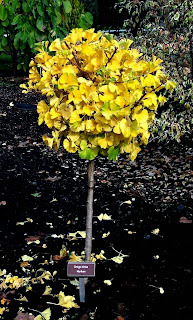 Can you picture a Ginkgo biloba 'Munchkin' growing too large? I couldn't care less if the editor remains unconvinced, and after all, there is no cure for ignorance. I dropped my subscription, and I can now spend more time with children's books. 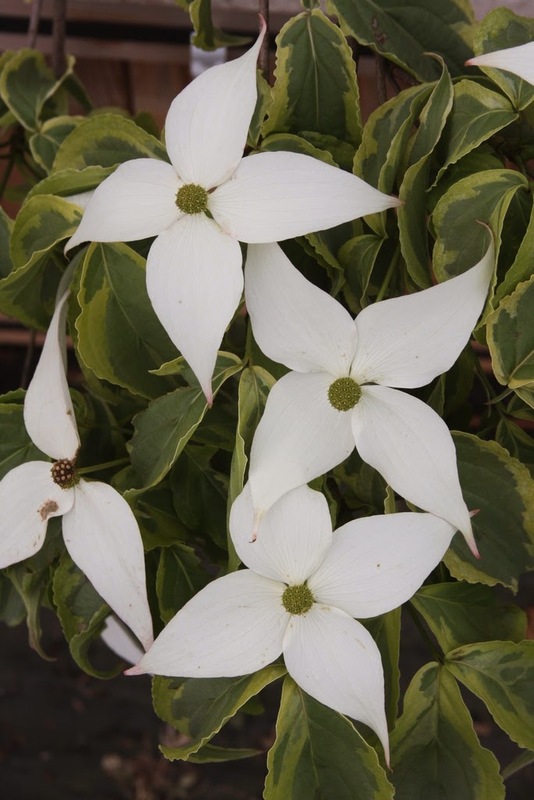 We grow quite a selection of "dogwoods," members of the Cornus genus. 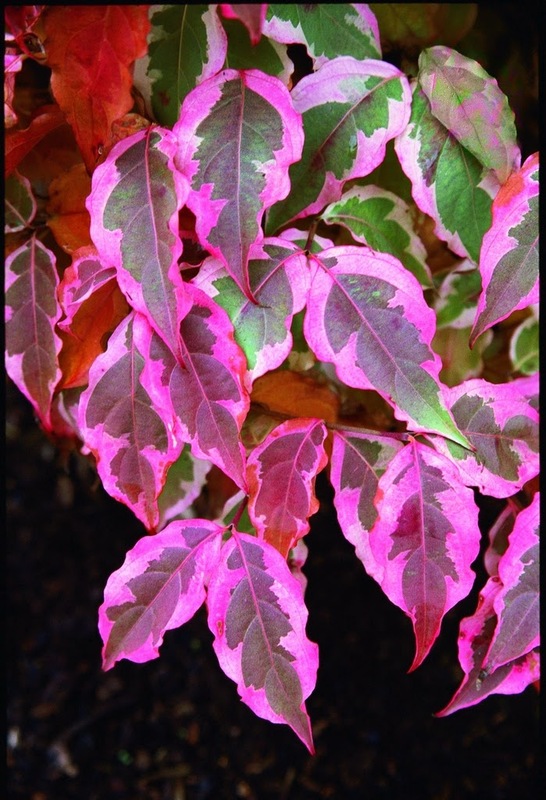 Cornus kousas 'Summer Fun', 'Akatsuki' and 'KLVW' are in good demand. To sell large specimens they are best field-grown, then transplanted into a container a full year to recover from the transplanting shock before shipping to our garden centers. This process is more costly for us, but it might explain why I am always sold out. 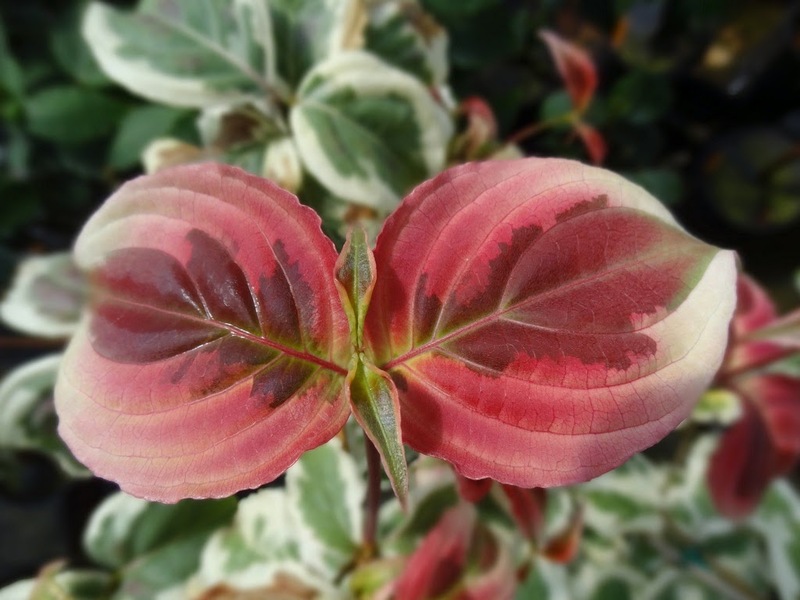 I received the lovely variegated Cornus kousa 'Ohkan' from Japan a number of years ago. The variegation is pleasant, with a dark green center surrounded by various amounts of cream-white. With adequate irrigation 'Ohkan' will never burn. 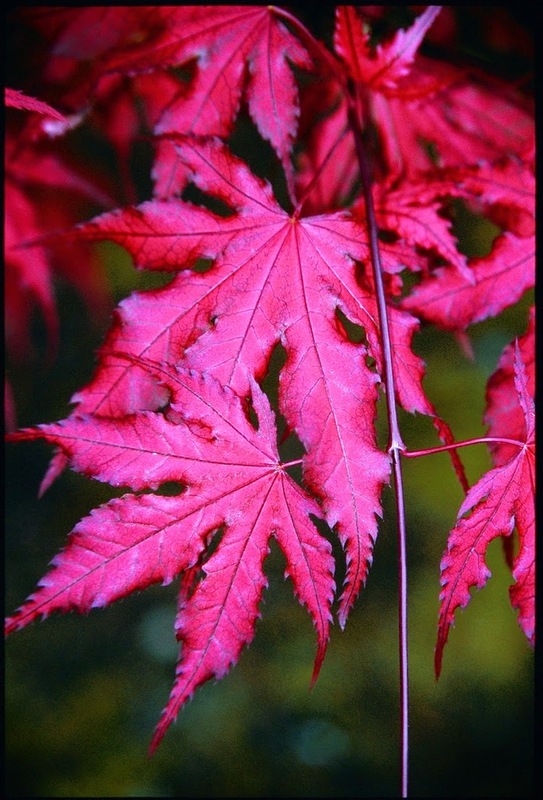 The best comes in autumn, however, with a kaleidoscope of red, purple and yellow, as if the sweet demure girl of spring reveals her riotous side when the temperatures cool. 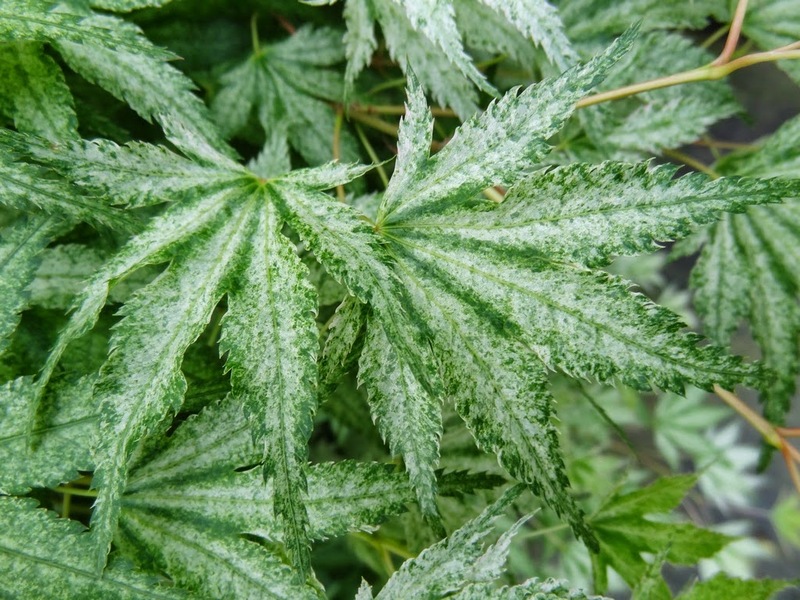 We have planted cuttings of Morus alba 'Nuclear Blast', a ball of bizarre twisting and turning thread-like leaves. 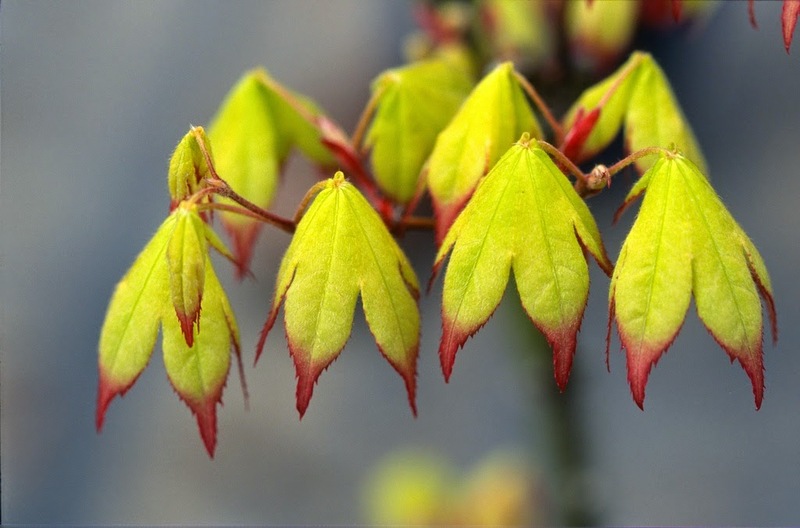 Visitors who see it for the first time are amused or puzzled by the cultivar name, who would name any plant or anything at all "nuclear blast?" 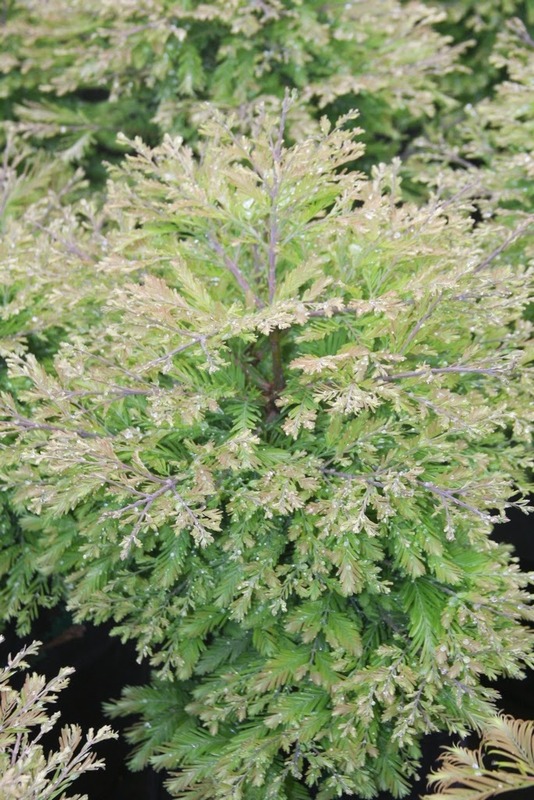 It's a fascinating little dwarf, however, and it fits into our QT, or cutie pot program. 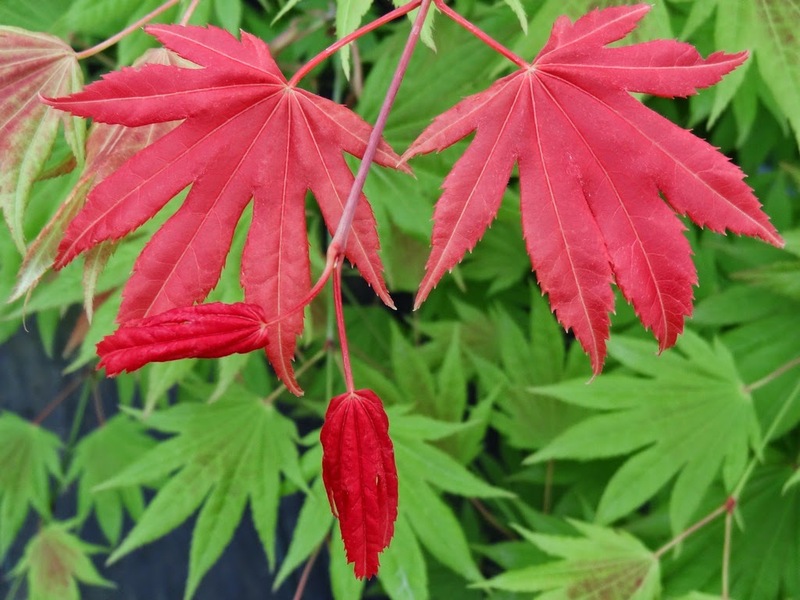 Back to the dumb cultivar name, it turns out to be a discovery from Japan, where it is known as 'Itoguwa'. 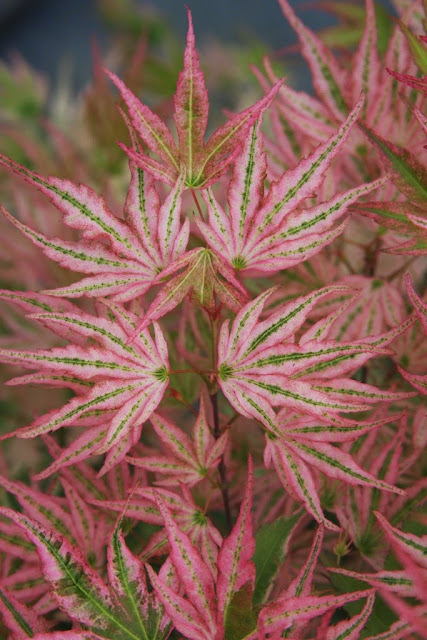 I don't know who the knucklehead – American presumably – was who gave an established Japanese plant the revolting new name. Certainly he wasn't Japanese, and my wife finds it to be offensive. Itoguwa is a tool, a field harrow in Japan. Ito is "thread" in Japanese, so maybe itoguwa is referring to soil lines that the tool makes. 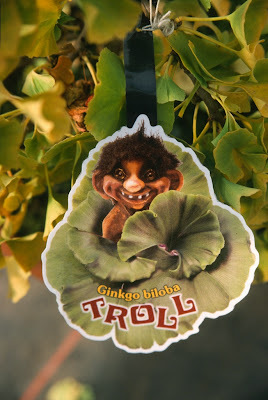 None of the names really make any sense to me, but the plant is weirdly cute and we'll continue to propagate it. 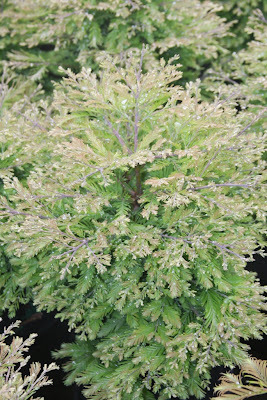 Well, that is only a dozen or so of the 500 we will propagate. Too bad that sales have to be a factor in the decision, for that reality is seldom the fun part. 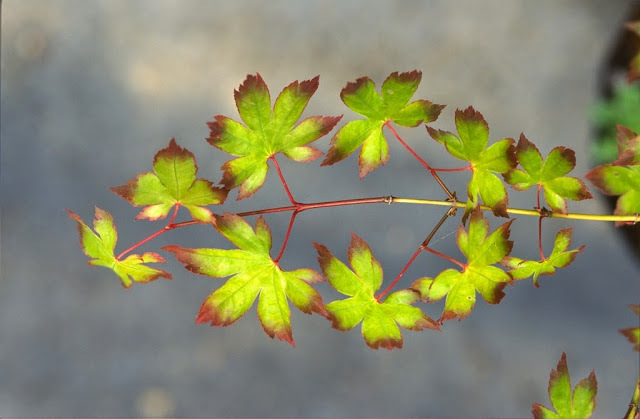 One thing is for certain, that when cuttings begin to produce roots, and when new grafts begin to grow, I breathe a sigh of relief, as I don't take anything for granted. I've had a long run of good fortune, but remain wary and humble nevertheless. To propagate or not to propagate?